Actually, this year is not my happiest National Toilet Paper Day. Of course, we will recognize the item for which this holiday revolves around and give the TP in our house its due respect but this year, this holiday, will be celebrated quietly and somberly. My partner in crime, fearless leader of the "Paper Caper" of 2011, has moved half way across the world. Well not exactly all the way on the other side of the world but she might as well be in some foreign port. She is adjusting to a new town, a new house, a new school district, and a new set of friends who may or may not know if she is being serious in her enthusiasm for Toilet Paper. You don't want to freak the new neighbors out too soon after just moving into the new digs. 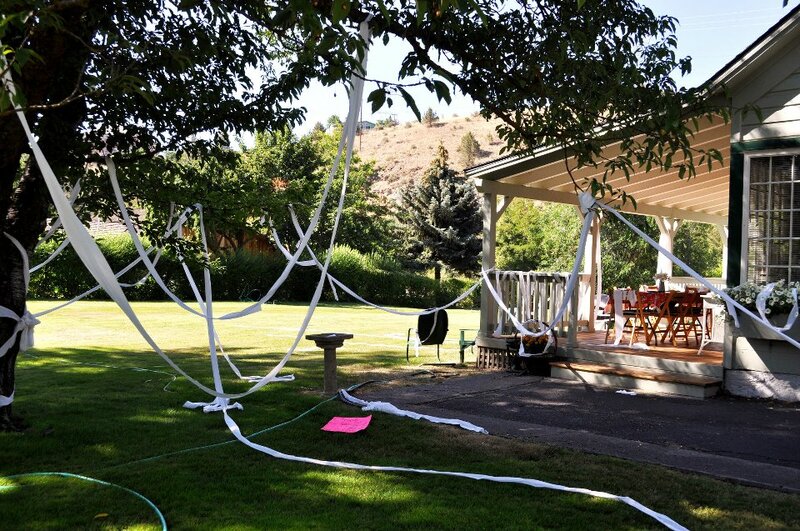 On previous National Toilet Paper Days we have celebrated in Big Roll 2-ply style. Thanks to our friends at ToiletPaperWorld.com and the ToiletPaperKing we have had fun exchanging bathroom banter across the twitterverse. But this year I celebrate by placing a roll of toilet paper on my buffet table and commemorating the day quietly with no big fanfare. Watch out next year. It may be a triple ply year. Everyone should celebrate this day by "moving on" to the superior, money saving hygiene provided by the Hand Bidet Sprayer. Smearing with handfuls of paper or washing with water....? Hmmm, time to join the modern era, see www.bathroomsprayers.com.